The Tabletop Loot Box is your way to get amazing dice delivered to your door every month! 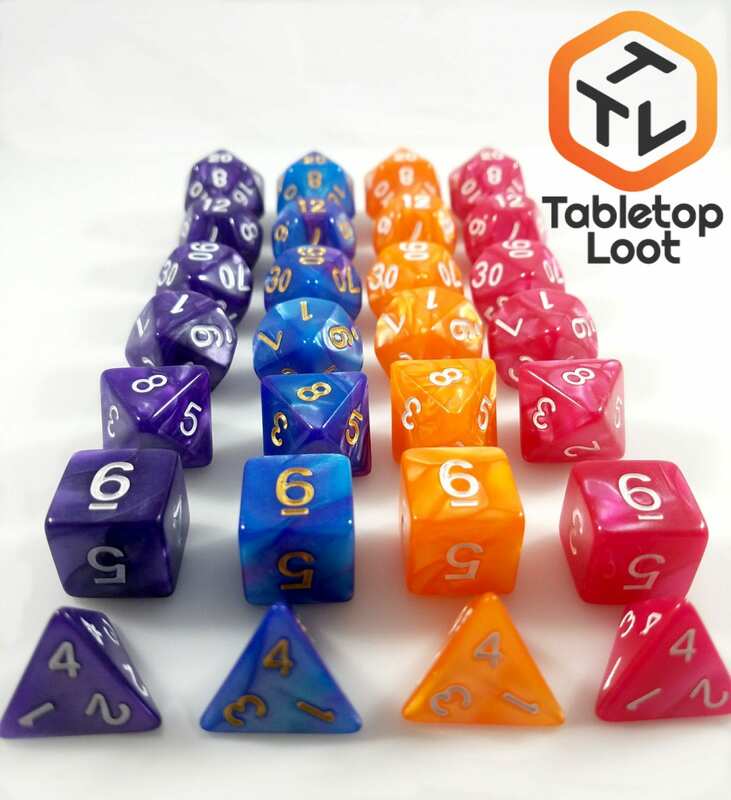 Each month Tabletop Loot will choose a theme and ship dice that match that theme. There may also be some extra goodies in each Loot Box. We won’t reveal what dice everyone is getting each month, but we will post hints about the theme on our social media accounts at the beginning of each month. 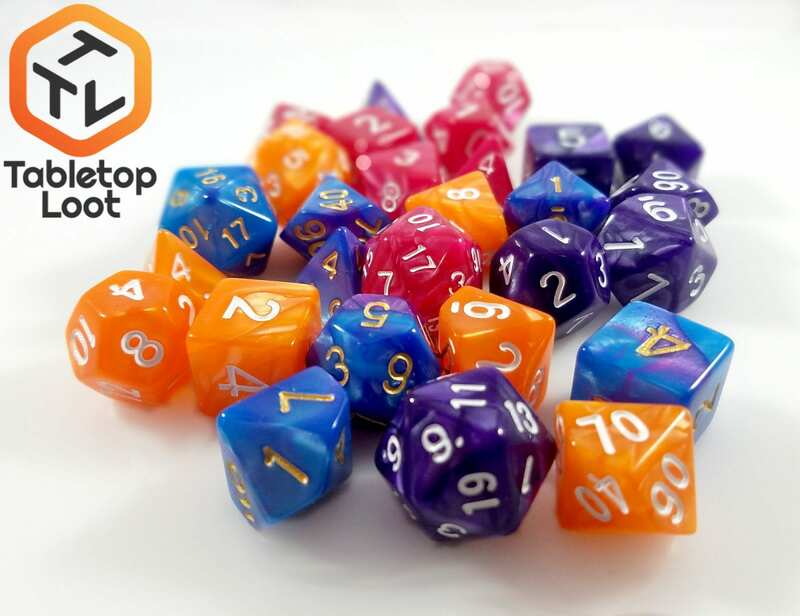 The Tabletop Loot Box is a monthly, quarterly or bi-annual dice subscription service that delivers dice to your door. 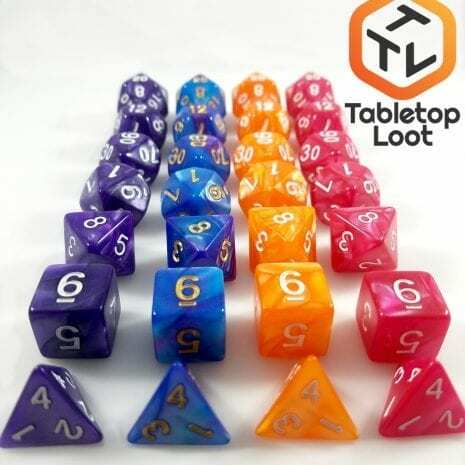 You are guaranteed to get AT LEAST 3 SETS of dice per box, plus some extra goodies included in the package. How often do I get Dice? You can select to receive one box a month, one box every quarter (3 months), or one box Bi-annually (6 Months). Also, please note that YOU WILL NOT BE CHARGED UNTIL THE 20th! So if you sign up on the 21st of the month, you won’t see a charge until the 20th of the following month. (Example: You sign up on the 21st of February, You won’t get charged until the 20th of March, and won’t see a Loot Box until the first week of April) So be sure to get signed up before the 20th if you want access to the next Loot Box! Shipping is included in all subscriptions. You may notice that our International Loot Boxes are $15 more expensive than our US one’s, that’s because of the shipping costs. I live outside the United States, can I still get a Loot Box? Of course! We ship to a wide number of countries. Just be sure to select our International Options when selecting your subscription service. I've tried this before from other dice companies, what makes you different? We stock every single item we will ship to you. This means you’re not waiting on orders to be drop shipped to you or getting lame excuses about why your package hasn’t arrived. We care very deeply for our customers. Check out our testimonials page or our Facebook reviews if you want proof. We will do everything in our power to make your purchase with us a good one. We use USPS for all of our shipping. This means all of our domestic packages arrive with in 3 or 4 days of our shipping them. Our international orders are averaging less than 2 weeks. This means, from our door, to yours, takes less time and you get your dice sooner than with those other companies. Of course! Just make sure you put the recipients name and mailing address into the shipping information when you place your order. Just be aware that this is a subscription service so you will continue to be charged until you cancel your subscription. What if I don't like the dice I received? Give them away. Sell them on Ebay. Make jewelry out of them. Curse them and give them to your DM as a gift. Throw them at your DM (We’re not responsible if you decide to actually do this). We won’t be accepting returns on this product. I already own this set, can I exchange it? 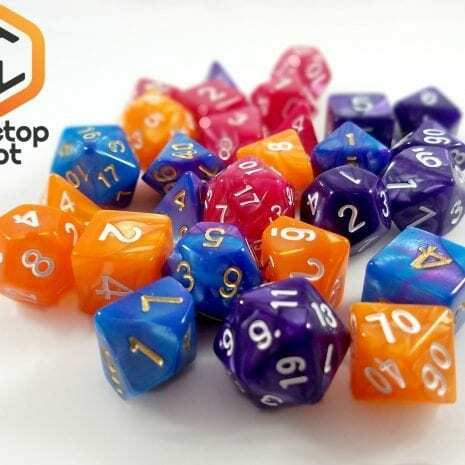 Repeats are bound to happen, especially if you’ve purchased dice from us in the past. We’re hoping to use this as a way to greatly expand the dice we’re offering, but we’re really sorry if you get a repeat. Refer to the options above if you want ideas on how to offload those repeats. Earn up to 35 Tabletop Tokens.